Kwesi Nyantakyi has been elected into the Executive council of CAF a while ago at the on-going 33rd CAF General Assembly being held in Khartoum, Sudan. The results for the voting came a few minutes after the GFA boss cast his votes for the slot. KALUSHA BWALYA of Zambia and LEO TENGA of Tanzania were also elected onto CAF executive council. Mr Nyantakyi as it stands now, is the first Ghanaian to secure a place on the Executive Committee since 1994 when Sam Okyere last served in the post. Mr Nyantakyi, who is currently the president for the country’s Football Association, has an unbeaten record if it comes to contribution towards sports. He masterminded Ghana’s first two World Cup appearances in which the country performed very well. 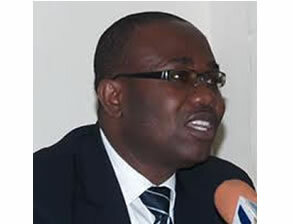 Nyantakyi is also part of the recent successes of Ghana football at all levels including the youth level. He endeared himself to the various African FA bosses with his affability, humility and his work ethic as compared to his main contender who has led Benin into chaos.